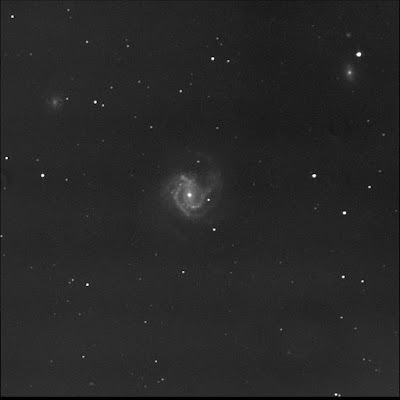 I ordered the BGO robot to photograph Messier 61. Another object it seems I have looked at once only. Wanted to have another gander. This is an interesting face-on spiral galaxy in Virgo. The inner bright galactic arms are weird. They are not curved; they seem bent. All together they make for a diamond shape. To the north-west, there's a swooping curving arc trailing off to the north. There are many bright lumpy knots surrounding the intense bright core. Neat to see other galaxies in the field. NGC 4292 is the canted spiral to the north-west near the bright star PPM 158756. The galaxy looks like a barred spiral; SkyTools 3 Pro says it is a lenticular. North of 4292 is a small round fuzzy: LEDA 213977. LEDA 1266560 is south-west of M61. It is a dim horizontally stretched lint ball. Another stretched fuzzy is PGC 40063, to the south-east. 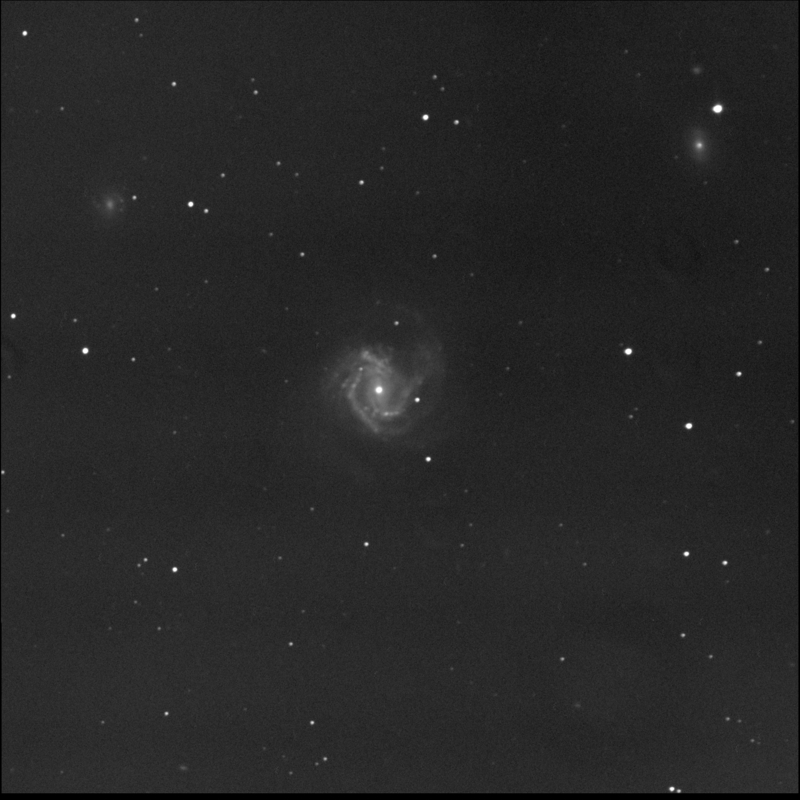 North-east of M61 is NGC 4301, another face-on spiral galaxy. This one has a diffuse faint core but attractive encircling arms with some bright nodules. Quasar Q1219+0047 shows in the software north-west of the central galaxy. I see the mag 16 star J122137.9+043026 but I don't see the mag 16.2 quasar just north of the star. Strange.